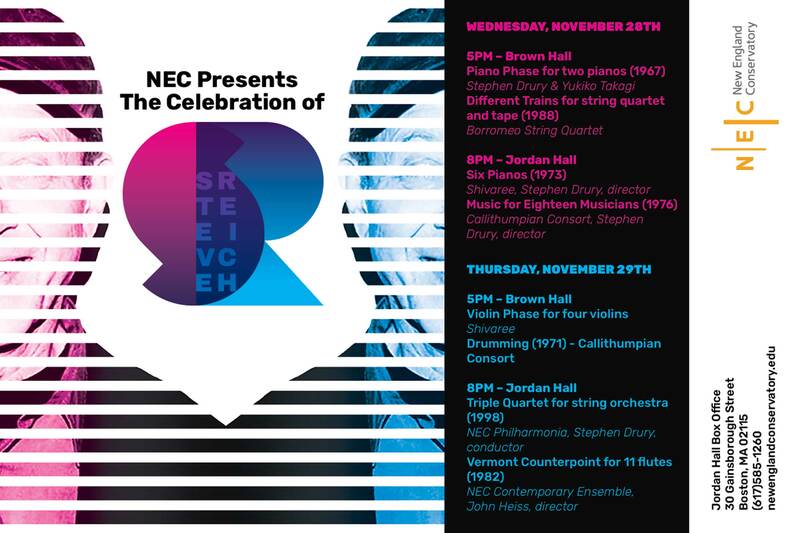 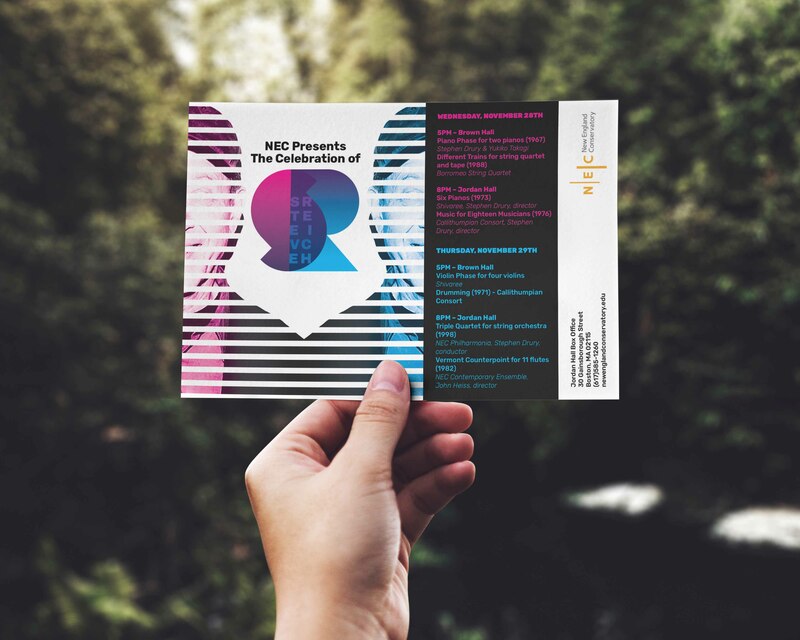 This is an event poster to promote a celebration of Steve Reich’s music. 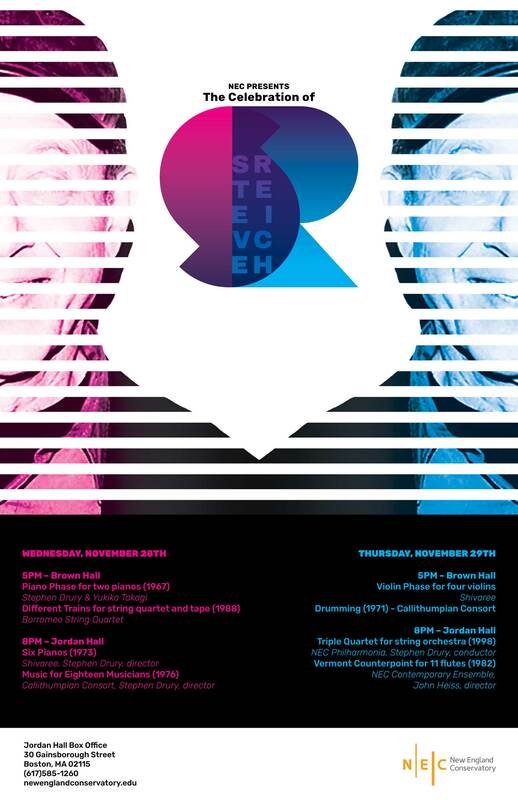 Since his music was known for its use of repetition, the lines overlapping his face (as well as his face being reflected on either side of the poster) represent this. 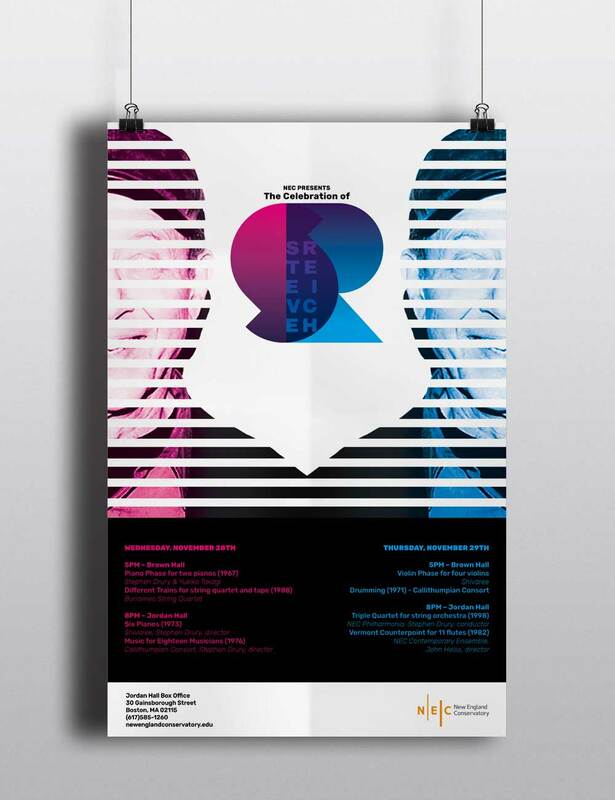 Everything, including the graphic in the middle were created from scratch for this poster.